IM-ServiziTecnici proposal contains six focused areas: Safety, Fire Prevention, Trainings, Construction Design, Publishing and Technical Advices. 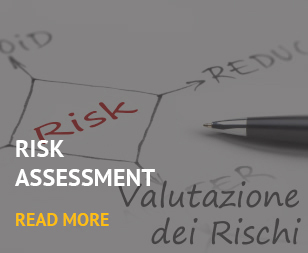 The Safety area supports the employer for legal obligations like the Risk Assessment Document, the evaluation of specifical risks (i.e. : Noise, Vibrations, Fire, Chemicals, ATEX, Load handling, Work Related Stress) and the Emergency Plan. 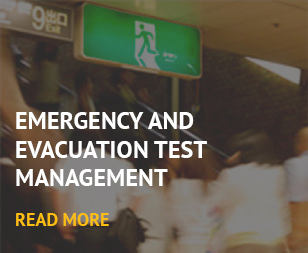 Advices could also cover the organization and the support to the evacuation tests, in order to verify the efficency and the efficacy of the internal operative procedures and of the emergency team. Fire Prevention area is deeply involved in fire prevention and protection strategies to guarantee safeguarding and safety of workers along with the protection of the property and the environment. 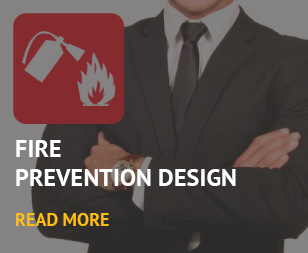 In particular, technical design of the fire protection installations is offered by a network of specialized professionals and related materials and safeguards are granted by leading manufacturers. Work related Health and Safety trainings, mandatory for Italian laws, can be offered by IM-ServiziTecnici through mother-tongue interpreters (English, Japanese and Korean) to give the possibility to all company’s workers to get the correct and complete informations and notions (not always easy). Accurate training plans are drawn on the basis of client’s real needs, developing ad hoc training packages to fulfill legal obligations. Design area can follow a construction project through all its stages, with the added value for the entire work of a multidisciplinary approach, whilst Publishing area has developed in the healthcare sector, through articles and books signed by Arch. Ivan Masciadri. 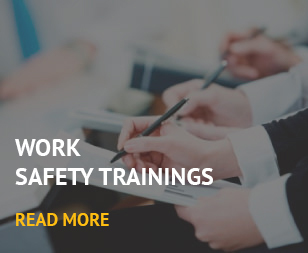 In the Technical Advices area, through a highly qualified professionals network, the following competencies are offered: food hygiene (HACCP – Hazard Analysis and Critical Control Points), occupational health, environmental protection, analysis, measures and sampling, energy performance assessments.